With a reunion and their first live dates in almost thirty years recently confirmed, the time is right to discuss one of the most incendiary, uncompromising bands of the era. Short-lived but long-influential, The Pop Group were very much a band for their time, and yet one that has never been tethered to any particular era. Their amalgam of punk/funk/dub/avant/jazz was born at a time when those genres still had real potential for radical expression, and, mixed together in this case they resulted in something quite timeless. Of all the contemporary bands that have tried to recreate the sounds of the early post-punk period, few, if any, have much of the sheer adventurousness of the original punk+not-punk vanguard. At the current point in time, we’re aware that, basically, it’s all been done before, but in the late seventies, it hadn’t, and many sounds were coming into play together for the first time. A number of said sounds were still new in the pop context – dub, disco, hip-hop, etc. – and punks (also still new on the scene) were dabbling. By the end of the seventies, the punk happening had incorporated things it was apparently supposed to react against, resulting in some brand new sounds. This is the climate which gave birth to The Pop Group. Formed in Bristol in 1978 by lyricist Mark Stewart, bassist Simon Underwood, drummer Bruce Smith, along with Gareth Sager and John Waddington on guitars, the group’s first release was “She is Beyond Good and Evil” b/w “3:38.” The A-side, likely the band’s most accessible tune, is a great bit of early post-punk enthusiasm which lays out their improvistory, explosive aesthetic. Their first LP, Y, followed later in 1979. Listening to it now, it’s still a brain-melter – its various constituents combined so well that it sounds effortlessly far out and unlike anything else. The sense that it could fall apart at any moment is always present, though, heightened by the unconventional song structures and arrangements. Free-jazzpunk…dub funk? Something like that, sure. Whatever it’s to be called, it’s a serious witches brew. The band gained a reputation and audiences quickly through 1979-80, but they were ultimately out on their own, pushing into uncharted territory. The press of the day in England had a fair bit to say about the group, actually, and a lot of those articles have been archived over at the band’s website. It’s worth reading a few if only to see how people responded to the band. After Y, the group signed on with Rough Trade and released “We Are All Prostitutes” b/w “Amnesty Report” in 1980, with new bassist Dan Catsis in place. These cuts were more of the same fire, but evidenced a turn in Mark Stewart’s lyrical content. On previous releases, he’d contributed strange poetry, with plenty of strong political/social content, but in the band’s Rough Trade period, his lyrics became full-on political sloganeering – evidenced by the title of the band’s second LP, also released in 1980: For How Much Longer Do We Tolerate Mass Murder? This second LP was full of tight grooves and weird noise, not unlike Y, but the more confrontational lyrics brought a new intensity. It requires a commitment to listen to, really, as the lyrics and music both can be appalling if you’re not in the mood for them. Moreso than their other releases, this record split opinions and divided listeners. Some think it’s the best thing the group did, some find it stiflingly militant and impenetrable. In the end, though, it’s a very agitated record, and a band simply cannot maintain that state. Within a year of the record’s release, The Pop Group were no more. Before disbanding, however, they released two other records: The “Where There’s A Will There’s A Way” split single with The Slits’ “In the Beginning There Was Rhythm,” and We Are Time, a collection of live/unreleased material. Members of the band were quick to jump into other, similar projects, after The Pop Group disbanded. Simon Underwood joined PigBag after he left, whose “Papa’s Got a Brand New Pigbag” will bring back memories of The New Music for any Canadian readers. 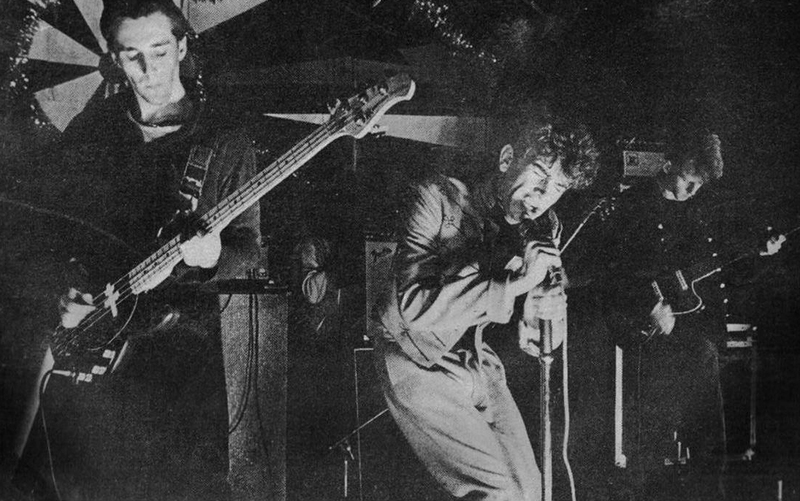 Bruce Smith and Gareth Sager formed Rip Rig + Panic after The Pop Group, which featured a young Neneh Cherry on vocals; while Dan Catsis and John Waddington went on to form Maximum Joy, an underrated groove classic. Mark Stewart went on to a solo career and also played with Maffia. Needless to say, The Pop Group was a fertile thing. Not only did it inspire its members, but also its audiences. The band is credited as an influence by many (especially artists in the Bristol area) and their records have gone on to legendary status. A posthumous compilation, We Are All Prostitutes, which collected tracks from each of the band’s releases, was put out in 1998 by Radar Records (the band’s pre- Rough Trade label), and made some material available for the first time again since its original pressings. Now skip ahead to 2010, when it was announced that The Pop Group is set to reform and play a select few live dates (and possibly even release a new record). What to make of it? Who knows. It’s almost thirty years since they broke up, one imagines that the agitation and energy levels have diminished a bit. Nevertheless, it will be interesting to see how this reunion turns out. Regardless, though, The Pop Group remain one of the exemplary outfits of the early post-punk period – a band that burned a path through popular music which has rarely been equaled.